To view pricing availability, select from one of our party packages below and then specify your desired date and time. 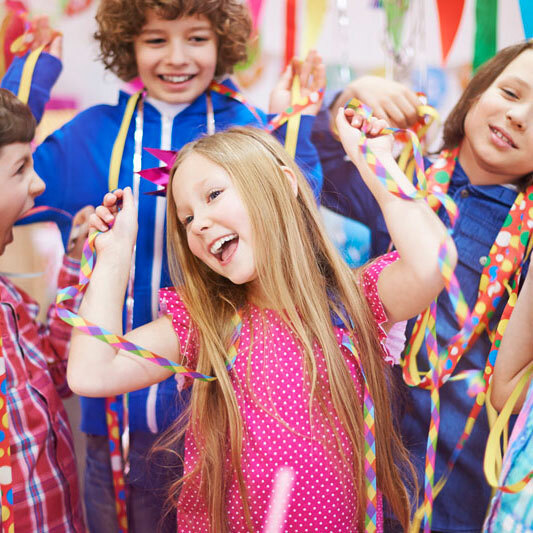 BOOK YOUR PARTY ON A WEEKDAY! Some restrictions apply. Group pricing does not include tax. 10 guest minimum required for party package pricing. Maximum of 25 guests allowed per party. Pricing listed above is for base weekday rates and may vary for weekends or holidays. Some attractions have weight and height restrictions. Check our Guidelines page for more details. A signed Waiver is required for every guest. No outside food or drinks, with the exception of outside cakes, which may be brought into the facility for celebrations with group booking. A non-refundable deposit is required to reserve your booking. A liability waiver is required for all attractions. We ask that all guests abide by these rules and regulations. Leave something at the park? See a list of all attraction safety guidelines.